Throwback Monday! Okay, that's not a thing, but I wanted to share a few photos from this wedding I designed almost three years ago. When going through photos of past work, I fall in love all over again with how truly unique and distinct every wedding is. There was a range of colors in Erin and Chris's pallet. White ranunculus and Pink Ohara garden roses with pops of yellow crespedia were all in the flowers to wear. The reception included these with Wild Spirit roses and wine amaranthus and dahlias. Flowers coordinating with the wedding and moss went around lanterns, tall arrangements to add height to the room and low cubes were the three different looks used as the centerpieces. The cover photo is one of the cube centerpieces. The textures and colors are sensational. 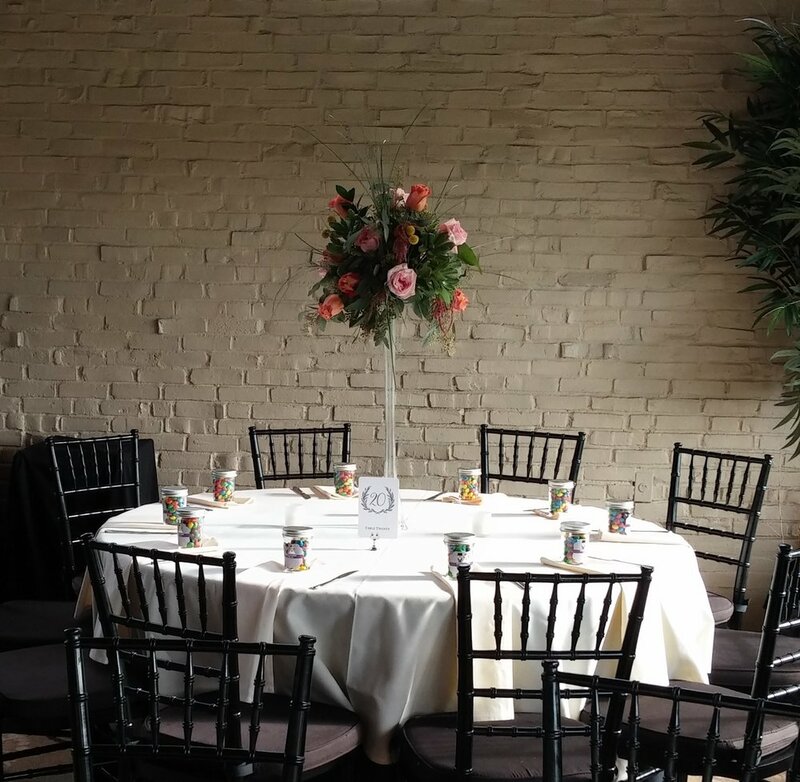 If you look closely you'll see their wedding favors are small mason jars filled with M&Ms- so fun! My cell phone died this weekend. Unless I can find somebody who is able to get all my data and photos off a phone that won't turn on, it's all gone. If you know somebody who could help me with this PLEASE send me along their info! I'm a little bummed out about it but I am making a point to use a digital camera from now on. Maybe I can improve my photography skills and take better quality pictures. Mondays are the new #BestDayEver. I am taking the day off to enjoy time with boyfriend and relax. Networking events, meetings and planning out my demonstration speech for an upcoming bridal show are on the agenda for this week. Live your best life and have an amazing week.